You planning to sell your house or buying a new house. Regardless, you probably need a real estate agent. Why? Well, you can try and sell your house yourself and risk losing out on a lot of money by not pricing it correctly or knowing how to facilitate the transaction with a potential buyer. Trust me, I’ve seen too many homeowners try to sell their home themselves only to get frustrated, angry, and downright exhausted. If you’re planning on buying property without a real estate agent know that eventually, you will have to deal with a real estate agent because most homeowners will choose to list their property with an agent and therefore, as a buyer, you have to deal with the listing agent of the property you want to buy. That really isn’t having someone working for you. Whether you are buying or selling, the benefits to using a real estate agent are innumerable. When looking for the right agent, you might be looking for something different based on whether you are buying or selling a property. Here are five attributes you need in a real estate agent and will start with the buying agent first. #1. An agent that works solely for you. When you purchase a property you don’t want to go through the listing agent to purchase that home. The listing agent’s primary duty is to sell that property, not necessarily find you the best home for your needs and budget. That agent was contracted with the seller first, and therefore, must sell that property. If you don’t have your own representation, your needs, budget, and priorities may not be taken into consideration. #2. They really listen to what you want. You don’t want an agent that thinks they know what you want. You want an agent that truly listens to your needs, concerns, deal breakers, and reads between the lines as to the type of home you really want and need. You might say you are looking for a three bedroom, but you know that working from home is a passion to the agent might try to find you a four bedroom home or at least a three bedroom property with a bonus room for those future home office needs. A good real estate agent also will not show you homes outside of your price range. You can afford what you can afford and a good agent will do their best to find you the home you need in your price range. #3. Find an agent that actually sells homes. I know that might sound funny, but you’d be surprised at how many agents there are out there that list homes but never actually sell that. The listing either expires or the agent gets fired. This is because they are not pricing it correctly, to begin with, and/or they are not marketing it to potential buyers. A great agent will market to other buyers agents and buyers through print, online, social media, and in person. Ask how many homes the agent has really sold themselves as a listing agent and how motivated they are to get your home sold but still make sure you get a profit. Of course, whether you are buying or selling you want your real estate agent to be honest but a good listing real estate agent needs to be honest about pricing it correctly and what you need to do to get in shape for selling. A hungry real estate agent will do anything and say anything to get the listing. An honest real estate agent will tell you what it really takes to get the property sold. I can’t tell you how important communication is during this time. Your real estate agent needs to communicate any changes to purchase and sale contract, updates on where the listing is, any changes to the listing or to a contract, updates on advice and feedback from showings, and simply get a hold of you that works for your lifestyle. Communication is a huge in every aspect of life but when it comes to buying or selling, it helps to be proactive in communication. You the real estate agent and then asked them you like to be communicated with him to get your needs met and your goals are attained. If you are ready to buy or sell throughout the Orlando area including my specialty areas such as Clermont, Winter Garden, and Mineola, call me today. My husband and I are ready to move out of current home, and into our dream house. But we are in need of a little helping in finding it. It’s good to know that when it comes to finding a real estate, one characteristic that we want is someone that will listen to what we want. That way we aren’t shown anything out of our price range, and something that fits what we are looking for. An agent that solely works for you is must so you will have a good property at your side in the defined time frame. I’m really glad you mentioned to not go with the popular realtor with the highest listing price. We’re trying to get help to sell a home, and I think it would be really beneficial for us to be able to have the assistance from a realtor. I agree with that real estate agent needs to be honest about pricing of buying/selling home. I appreciate your work..!! I found it interesting that good real estate agents will listen to the needs of the customer. In my opinion, I think it’s important for the agent to know the concerns and other deal breakers that the customer may have. By knowing that, the real estate agent can help the customer find a property that satisfies those concerns. My husband and I are wanting to sell our home, and we need help in determining how to choose the right agent to help us out. I like how you pointed out that we need to find someone who actually sells homes. This is something I didn’t think about, but is great to know, so we can find one that actually has experience with what we need. My husband and I are looking to buy a new home for our expanding family. We want to make sure we have the right real estate agent by our side to help us with the entire process. Thanks for the tip to find someone that truly listens to our needs, concerns, deal breakers, and reads between the lines of what we are looking for. We’ll be sure to do this. I like how you point out that real estate agents should be great listeners. Like you said, every family has different concerns, and a great real estate agent will really listen to those concerns and do their best to get you into a home that will help meet those needs. My husband and I are expecting our third child, and we think this is a great time to get into a new, larger home. However, besides the fact that we need a larger home, we don’t really know what we want. Hopefully finding a real estate agent that is a good listener will help us discover what our needs really are. Pricing a home correctly from day one is important. All home sellers would love to get the top dollar for their home. Be sure to have your home in show ready condition and price is within the market range. Wishing you all the best! I want to buy a house soon and I know it’s hard to process. From looking for an agent or real estate attorney. So It would be nice to make the right choice in that process. Jordan, buying a home is one of the largest investments you will make, finding and working with an agent who knows and understands the market is essential. Hope you’ll find an agent you can trust. I love how you recommended getting a real estate agent that will really listen to what you want and keep you within your budget. Nobody wants to spend more than they have so getting shown the perfect home with a price that is way out of what you could pay would be heartbreaking and frustrating. Having an agent that knows exactly what to show you would be really important to get what you want in the end. Thank you for your comment Kylie! I like that you mentioned asking a real estate agent how many homes they’ve actually sold. Thanks for the information! My wife and I are planning to sell our first home, and we could really use the help of an experienced and reputable real estate agent. I like how you said that a good real estate agent will market to buyer agents in order to get a good deal. My wife and I are trying to sell our house because I am getting a work transfer in a few months. We need to get it sold as soon as possible, so it’s good to know that we can get help when we need it. It was nice when you said that a good real estate agent will never show me a home that I cannot afford and will strive hard in order to find me something that’s within my budget. I think that’s really important, especially for the likes of me who really follow their budget strictly. There is a budget already set for when I buy a new house for me and my sister next month, and I will see to it that I hire a realtor who will follow it. Thank you for sharing. I learned a lot! I do agree that when it comes to a real estate agent it would be important to have someone that can listen to what I need as I might have some essentials they have to keep in mind. That is why I would be making sure that I get a reputable real estate firm to help me out in my search for a new home. Hopefully, the BBB’s website will be able to help me out. Thanks! Thanks for your comment about how you should choose a real estate agent that is honest with you. I also like how you said that they should be good listeners and communicators. My husband and I are looking into a real estate agent that we can communicate well with to find a new house. I’m glad that you point out that you should make sure to not go through the listing agent but rather get your own real estate professional. Recently, I’ve gotten a bit disenchanted with the renting world and want to switch over to owning a home. 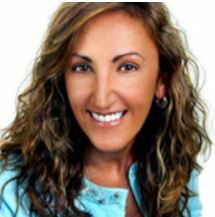 Your tips should help me find the right real estate services to help me find the right place. It really helped when you said that one shouldn’t go through the listing agent to purchase that home. Just like everyone else, I don’t want to spend more money on something that I can get for a lower price. I am planning to buy a new house for my family, as we are getting bigger. Along with it, I will also work with a residential real estate agent so that my best interests will be met when it comes to this purchase. I completely agree that you want a real estate agent that will clearly communicate any changes made to contracts and update listings. 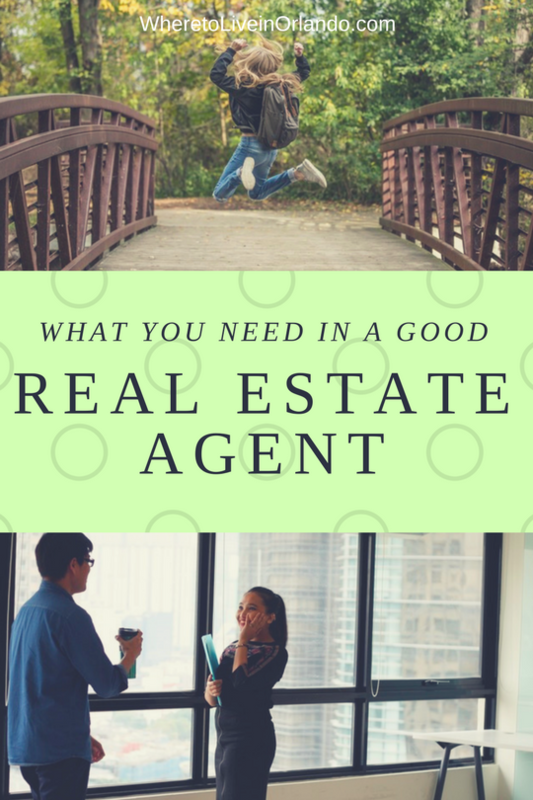 My friend will be buying her first home soon, so I think that these tips will help her find a great real estate agent. Is there anything else she should keep in mind? I’ts good to know how to find a real estate agent. My wife and I are hoping to buy a home this year, and we want a pro’s help. I’ll be sure to find someone who’s smart, but still listens to what we’re looking for! Good morning Ridley, I’m confident you will find the right agent. Wishing you all the best! I appreciate your tip to ask the realtor you are considering about how many homes they have actually sold. My husband and I need to sell our house quickly since we have to move in a few weeks for his new job, so we are wondering how to find the best real estate agent to help us. We’ll be sure to ask each real estate agent we consider about home homes they have actually sold themselves. Thanks for pointing out that we should choose a real estate agent who really listens to our wants and needs. My husband and I need to find a real estate agent to help us sell our home. I wasn’t sure what qualities to look for, so your advice will be very helpful. « Where to Live in the Orlando Area? Why Clermont?